Everyone’s favorite detective drama is already set to return for a Victorian-themed special episode later this year, but it looks like we won’t see a full Season 4 for some time yet. At the recent BAFTA Television Awards, co-creator Steven Moffat told Digital Spy that filming on the highly anticipated fourth season of Sherlock is set to commence in the spring of 2016, which means that we’re likely looking at an airdate of late that same year, if we’re very lucky, or early in 2017, if we’re not. On the subject of the fourth season, Moffat had this to say about its overarching theme: “Consequences. It's consequences. Chickens come to roost. It's dark in some ways - obviously it's great fun and a Sherlock Holmes romp and all that - but there's a sense of things coming back to bite you." In the meantime, we do have the upcoming one-off special to look forward to, but its Victorian setting indicates that the episode is largely going to occur outside of the regular Sherlock continuity and, as such, probably won’t deal with any leftover plot threads from Season 3, like the surprise-Mary-is-a-secret-assassin situation, the impending Watson child, or the fact that Sherlock basically just murdered a guy in cold blood to close out the last season. But, seeing the stars of this very modern Holmes interpretation running around in period dress should be fun, nevertheless. Fans will also be able to catch the series’ stars in a variety of projects between now and then: Cumberbatch will be performing Shakespeare’s Hamlet this summer in London (which will then be screened in theaters around the world), before taking on the mantle of comicbook superhero Stephen Strange in Marvel’s upcoming Doctor Strange film. Incidentally, Martin Freeman has just signed up for his own role in the Marvel universe, and will be appearing in upcoming tentpole feature Captain America: Civil War, which is filming this summer. Not that any of this makes for the wait for the return of Sherlock Holmes and John Watson more bearable, but, it helps! 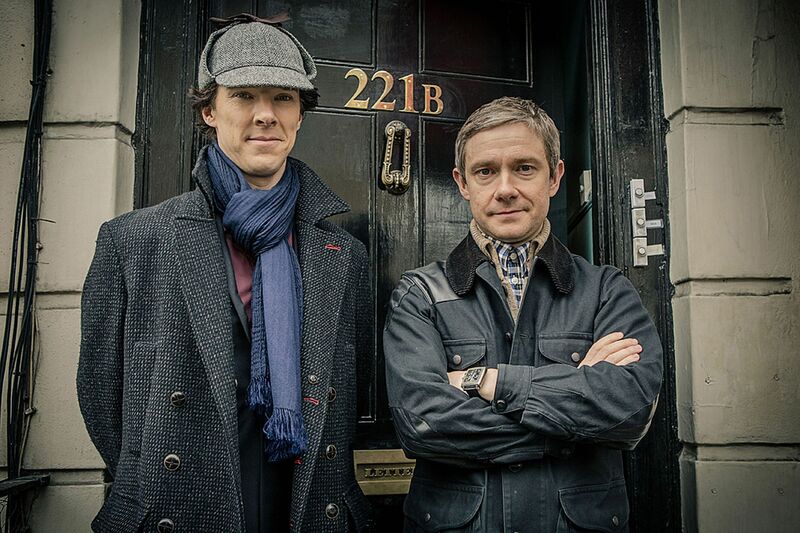 Any predictions about what we’ll see in either the Sherlock special or Series 4 itself? Production on Season 8 of "Call the Midwife" is already happening! Victoria star Jenna Coleman will play the lead role in upcoming BBC thriller "The Cry". Good news for Poldark fans - filming is officially under way on Season 4!